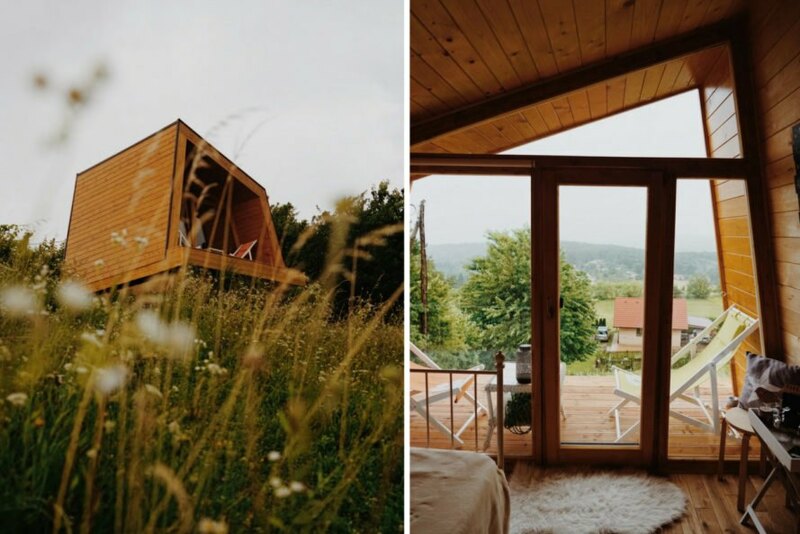 For those looking to enjoy a serene glamping retreat, this tiny geometric cabin in Slovenia is a dream getaway. Located near the region of Maribor, the itsy-bitsy wooden hut is designed to blend seamlessly into the natural landscape thanks to a large glazed front wall that looks out over the expansive rolling hills. Guests can enjoy the fresh air while swinging from a hammock on the wooden deck or soaking in the hot tub. 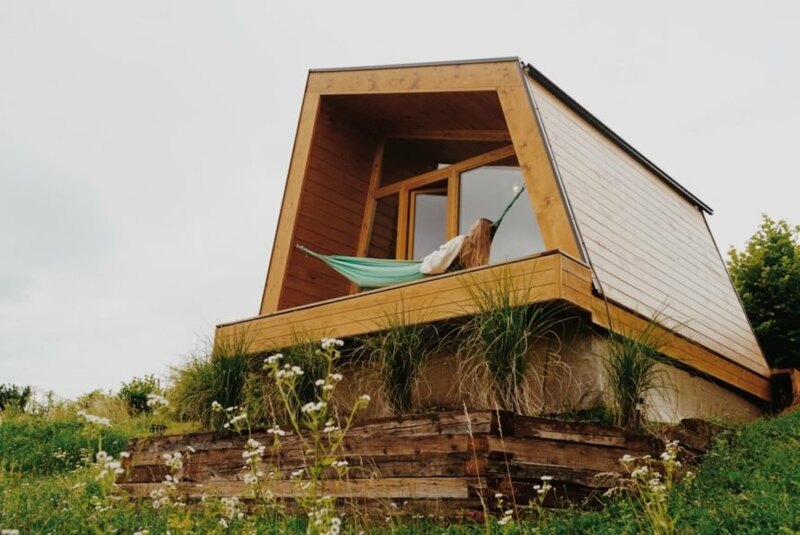 Guests of the tiny cabin, which starts around $170 per night, will enjoy the modern simplicity of the design. A geometric volume expands the space of the compact interior while adding character to the overall aesthetic. The floor-to-ceiling windows on the front facade were used to connect the interior with the exterior. Of course, the swinging hammock on the front deck is the best way to enjoy the panoramic views of the rolling green hills, mountains and valleys that surround the cabin. The cabin comes with everything needed for a romantic getaway for two. The interior is small with just a queen-sized bed, but it is flooded with natural light. There are also a few tables and shelves for personal belongings. 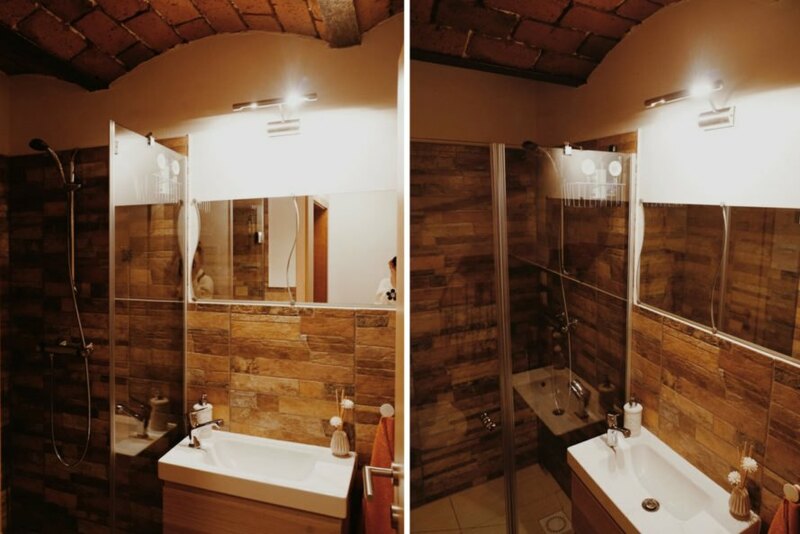 The bathroom is located just a few steps away, and linens and towels as well as bathrobes and slippers are all provided. The best part of the tiny cabin is the wooden deck that has a hammock as well as a small sitting area to enjoy the views. This deck is perfect for a morning cup of coffee or a glass of wine in the evening. Guests can also enjoy a community fire pit onsite as well as a large fireplace for barbecues. As an extra bonus, the hosts provide a breakfast basket every morning, filled with products from local farms. 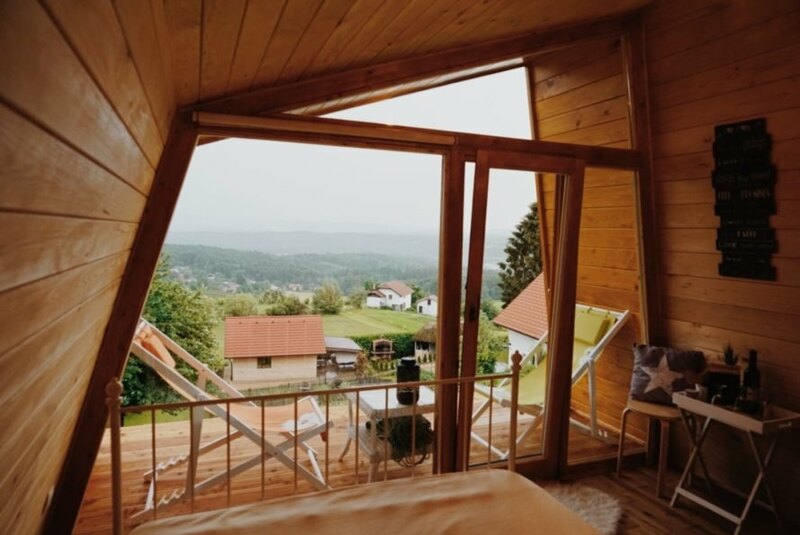 Located near the region of Maribor, the wooden hut is designed to blend seamlessly into the natural setting. A large glazed front wall overlooks the expansive rolling hills. The cabin is designed as a serene retreat. Guests can enjoy the fresh air while swinging from a hammock on the front porch. 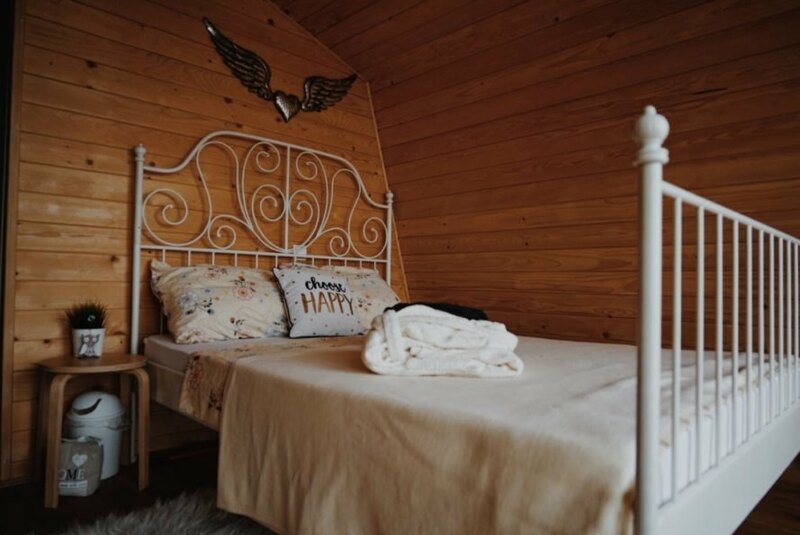 The cabin is small, but it has everything needed for a romantic getaway. A queen-sized bed makes up the interior space. The tiny cabin sleeps two. A bathroom is located just steps away from the cabin. Guests can also enjoy soaking in the hot tub. The hosts provide a breakfast basket filled with local produce. 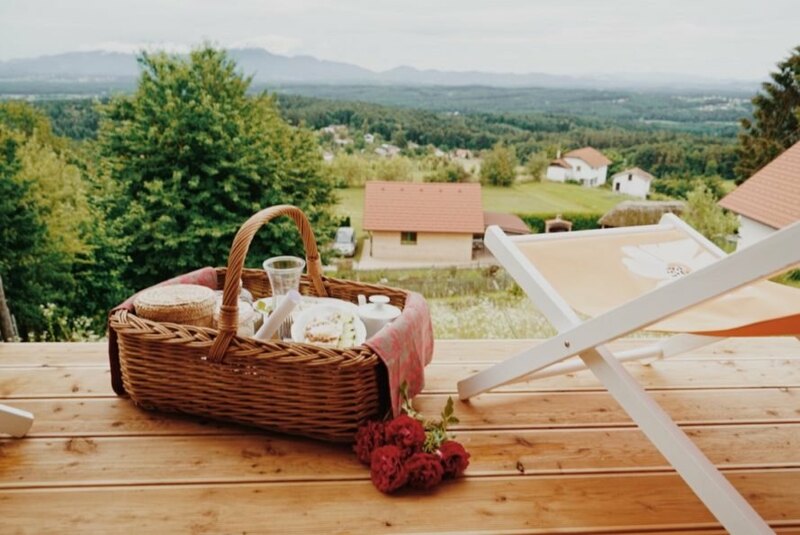 The morning picnic basket is filled with items from a nearby farm. The cabin welcomes guests starting at $170 a night.